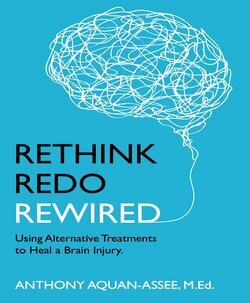 Rethink, Redo, Rewire Yourself ! Learn how to awaken your brain’s healing capacity. Have you ever heard about someone who, “Saw The Light” after a near-death experience? Well, Anthony Aquan-Assee is one of those people. and an Authority on Brain Injury recovery and rehabilitation. Following a horrific motorcycle accident, Anthony was declared “Brain Dead” after sustaining a severe Traumatic Brain Injury and required over 10 major surgeries including neurosurgery and open-heart surgery to keep him alive. Doctors say Anthony’s recovery is truly a miracle. 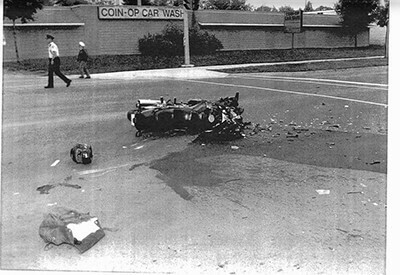 16 years after this devastating accident, Anthony was diagnosed with Cancer. He had surgery to remove the cancer and has remained cancer free ever since ! Let Anthony teach you the tools and strategies to awaken the brain’s healing capacity. You Can Heal Yourself ! Learn how to awaken your brain’s healing capacity using natural and non-invasive treatments. Purchase Anthony’s New Book for only $ 15 ! Read this book to learn about Alternative Treatments that can help you heal yourself naturally and be medication free. The human body is a magnificent creation born with all the tools to heal itself. See the website of Anthony’s new book, please click here. Click here to read a sample chapter from Anthony’s new book. Click here to order Anthony’s new book. To promote a healthy lifestyle, Anthony uses a healthy diet, regular exercise, meditation and stress reduction strategies. Anthony also has much experience with many Alternative Treatments in a therapeutic setting including Neurofeedback, Laser Therapy, and drinking Kangen Water. Using Alternative treatments helped Anthony heal his brain and his body. Contact Anthony to learn more about his one-on-one ‘Brain Building’ tutoring sessions or if you need help with community re-integration. You will learn how to heal yourself. Anthony offers high energy keynote speeches and workshops with a focus on ‘never giving up’, determination, hope and perseverance. 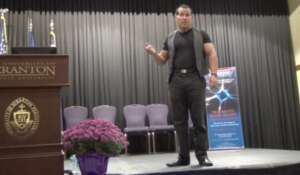 He has presented keynote speeches as well as workshops to organizations across Canada and the USA. Anthony has shared the stage with some of the best doctors in North America as well as with internationally renowned speakers and authors such as Dr. Wayne Dyer. His presentations have received rave reviews. Journey with him, as he shares what he has learned about ‘going to the other side’. Learn how to heal your body using Alternative Treatments. You will learn to create a ‘mindset of hope’ and awaken the healing capacity in your brain and body. We all have the power to live the life we desire. 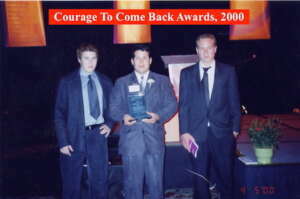 Anthony is pictured here with his two brothers, Jonathan and Michael after receiving the prestigious Courage To Come Back Award from The Centre for Addictions and Mental Health in Toronto. He received this award for his courage to face the adversities in his life as a result of his accident, and his ability to use his challenges in a proactive way. 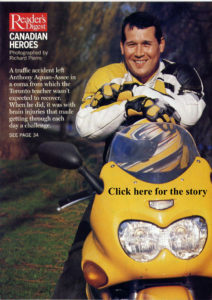 Anthony’s story was also featured in the Reader’s Digest, July 2002, cover story shown above. 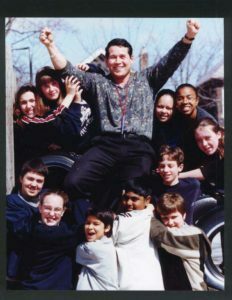 Anthony is an Elementary School Teacher, Author and Speaker living in Toronto. 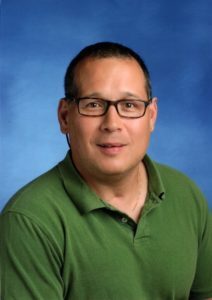 He currently works as a Grade 3, 4 & 5 Teacher and has taught all grades from Kindergarten to grade 8 as well as Special Education and Guidance. Anthony’s classes have a culture of hope and possibility and this is transforming education. Anthony has survived Three Traumatic Brain Injuries. Using Alternative Treatments, Anthony has successfully healed his brain and his body from the numerous life threatening injuries he sustained. During his journey of recovery, Anthony learned to awaken his brain’s healing capacity by using natural and non-invasive interventions. Through his persistence and determination, Anthony has been able to recover the capacity to function effectively despite the overwhelming odds against him. Learn from Anthony how to Rethink, Redo and Rewire your life to harness the mind, the body and the brain as an ally in healing. 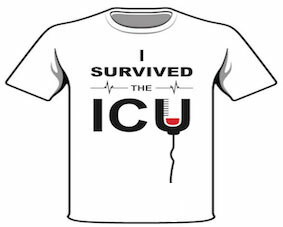 “I Survived The ICU” – T-Shirt Now Available ! Educational resources to support brain injury survivors as well as victims of a motor vehicle accident. 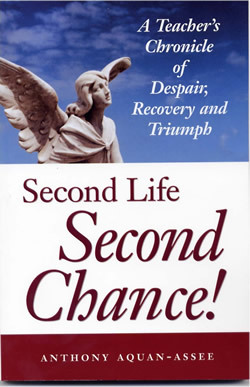 “Second Life, Second Chance: A Teacher’s Chronicle of Despair, Recovery and Triumph” won an award in the ‘2009 Eric Hoffer Book Awards’. Read the review in the US Review of Books by clicking on the above link. This book is a story that highlights Anthony’s experiences from the time he was a patient in the trauma hospital to the time he returned to his Teaching profession. This story details Anthony’s recovery from a severe Traumatic Brain Injury. 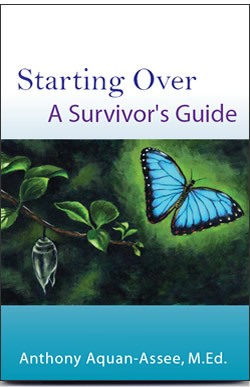 “Starting Over – A Survivor’s Guide” is a Tool-Kit that describes in detail many strategies that would help a survivor, family member or professional learn strategies that will help them cope with the challenges associated with a brain injury. “Vendeka’s Creed” is a high interest fiction, fantasy novel that takes a very unique look at how our highly technical world might cope with brain injuries in the future. 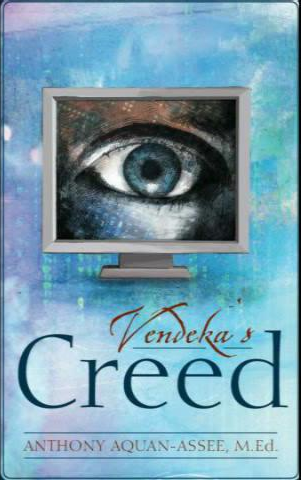 In 2018, “Vendeka’s Creed” won an Eric Hoffer Book Award in the Grand Prize Competition. 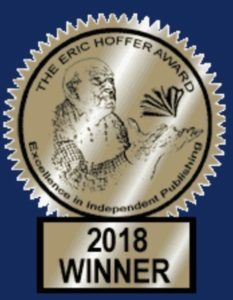 This is one of the largest international book awards for independent publishers. Read the review in the link below. 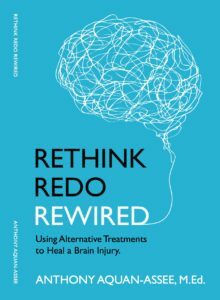 “Rethink Redo Rewired” chronicles Anthony’s amazing comeback from the brink of death. During this difficult journey, Anthony discovered the brain’s incredible power to heal itself. In his 4th book, Anthony shares how alternative treatments helped him heal his brain and body in ways that pharmaceuticals couldn’t. These books were all written to help others cope with their own particular challenges. In addition, Anthony hopes he can educate, motivate and encourage others to find the strength within themselves to never give up! 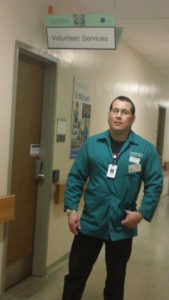 Since 1999, Anthony has been a volunteer in the Neuro-Trauma Intensive Care Unit at St. Michael’s Hospital. Read more about Anthony’s community service at St. Michael’s Hospital.